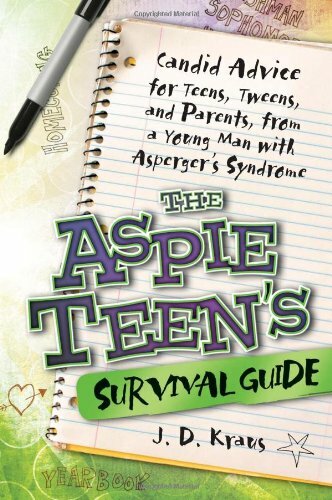 Grade Lvl: JST Author: Kraus, J. D.
The author, a young man with Asperger's syndrome, offers advice to teens who have been diagnosed with Asperger's on how to negotiate the academic and social challenges of middle and high school. Some topics are organization, transitioning, sensitive senses, awkwardness, stress, driving a car, bullying, socializing, dating, obsessions & creativity. IL 7-T.